The rise of Hyundai has been in equal parts impressive and meteoric. For a brand that was exposed to a fair amount of ridicule when they began exporting the Pony and Stellar models in the 80s, the class and finish of the ix35 couldn’t be further from those humble origins some 30 years later. The latest range of products from the South Korean manufacturer are visually spectacular, technologically cutting edge and ecologically sound as well which is a trend that this crossover vehicle aims to continue. From the outset, the drive of this vehicle is worlds away from Tucson that it replaces. The engine pulls strongly whilst the steering is light enough for town centre manoeuvring which, given the vehicle’s size, is surprisingly easy all round. The pay off with this is that on the open road the car is difficult to position with any certainty as the lightness of the steering come with a lack of feel when at pace. It does, however, ride very well and the roll and pitch of the tall body are well controlled. At no point does this car feel cumbersome or awkward, just a little vague when pushed along. The interior is a massive leap forward for Hyundai with soft touch and classy textured plastics evident throughout the cabin. Some of the materials lower down do not quite match the standard set by the class leaders, but you have to actively hunt for these and they do little to detract from the overall aesthetic. Space is good in both the front and rear of the cabin whilst the boot is plenty big enough for all manner of items. The driving position gives a relatively high, commanding view of the road ahead with all the dials and stereo functions within easy grasp and clear to see. In summary, the ix35 is a fine soft roader/crossover vehicle but it does suffer from some slight niggles which leave it a little adrift from the best in class. The fuel economy is strong enough on the 1.7CRDi diesel model on test here at a combined 50.4mpg although mid 40s would be more realistic on the strength of this road test with emissions are between 139 and 147g/km dependent on specification. 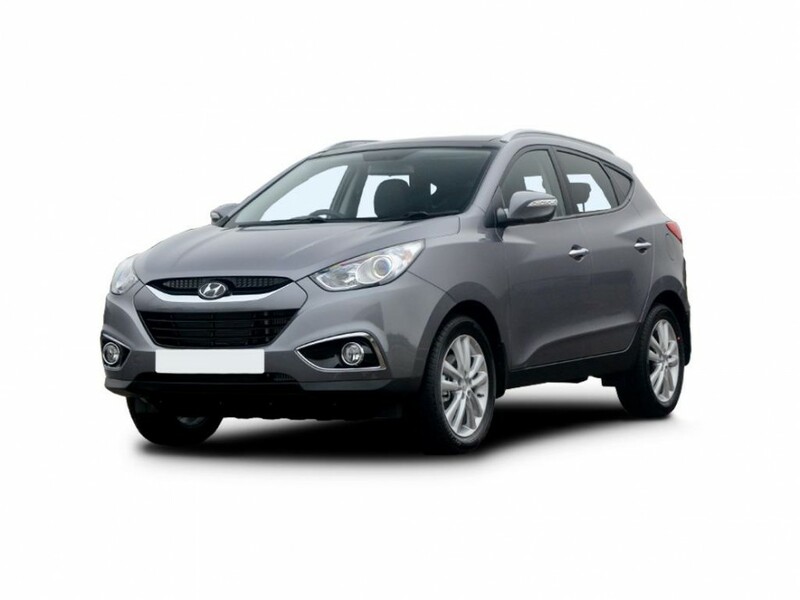 For the fleet user who requires a bit more car for their money, there aren’t many competitors that can beat the Hyundai and it is worth more than a passing glance.